Reviewing your LinkedIn presence ensures you’re adding new accomplishments as they happen and you’re ridding outdated information. I’m not going to give you a lot of fluff pre-content here so I’ll get right to it……below you will discover some nitty-gritty tips and points for updating your new LinkedIn profile. Do you really have time to complete all that is involved? ★ Have a very clear understanding of what you are looking to accomplish BEFORE starting work on your NEW profile. This is especially important when you do not have a current resume to work from. 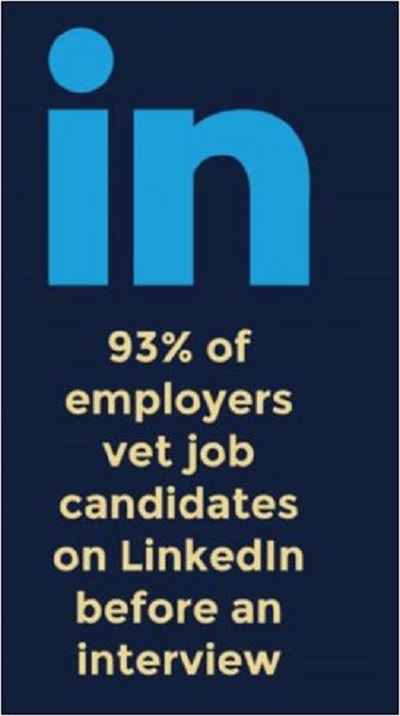 ★ Use each available section on the LinkedIn platform when it applies to your background and experience. ★ Add images (PDF’s, video etc.) according to LinkedIn guidelines. ★ Do NOT use second or third person (You, He, She, It. They). Start each bullet point with a POWER WORD (not, I). ★ Use $M and $K to represent millions and thousands of dollars. Do NOT use a Roman numeral. ★ Use only ONE space after a period. NOT two. ★ Place periods after job sentence at the start of summary and job descriptions. Not on bulleted lists. ★ Do add measurable results when available ($$$, %%%, increased this, decreased this). Key! Stay tuned for DIY LinkedIn Profile Optimization (Part 2 of 3) titled Decisions, Decisions, Decisions…. Who are we? Located in Washington, D.C., our goal is to make you and your profile/resume visible to job recruiters and sales prospects on a 24/7 basis.